Thanks to the success of smartphones such as the iPhone and tablets like the iPad, we've heard many people question the future of the dedicated portable game system in recent years. Questions like, "Who wants a system with $40 games that does little beyond playing games when you could get a phone that has much cheaper games and does so much more?" have been uttered countless times, although that hasn't stopped Sony or Nintendo from moving forward with new handhelds. While the 3DS struggled early on, it's done very well as of late, particularly during the holidays, and even Sony is taking that as a promising sign. "One of the encouraging things about 3DS' sales performance at Christmas is that it is confounding the naysayers who say that there is no room in the market for a dedicated handheld gaming device," said Sony Computer Entertainment president and CEO Jim Ryan in an interview with MCV. "And to that extent we were encouraged by how 3DS did over the last month." 3DS sold poorly early in its life for a multitude of reasons, including the fact that it came at a very high price ($250) and had very few games worth playing. That situation changed over the latter half of 2011 between the August price drop and the release of games like Super Mario 3D Land and Mario Kart 7. 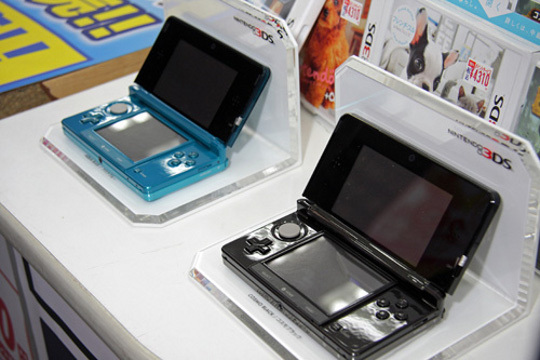 By the beginning of December, 3DS had already surpassed first-year sales of the original DS in the U.S, and as of earlier this month, the system has sold in excess of 4 million units in both the U.S. and Japan. Vita finds itself in what some might call a similar situation. Following a debut that saw it sell 325,000 units in Japan, sales of Sony's latest handheld haven't been particularly great, routinely being outsold by the 3DS and even PlayStation Portable. Ryan doesn't think this is indicative of what's set to happen overseas; Vita is set to launch in North America and Europe on February 22 and the system's early struggles in Japan don't mean a thing elsewhere, according to him. "One of the things we have learnt over a long period of time, is that whether it is PS1, PS2, PSP or PS3, it is dangerous to the point of impossible to take any experience from the Japanese market and try and extrapolate it, and propose upon what will happen in Europe or North America," he told MCV. "Not withstanding the fact that it is just way too early to make any conclusions. The markets are now just so different, I actually think they are diverging to a greater extent than they were different in the past - if that's even possible." That the Vita isn't performing as well as its predecessor at this point isn't a sign of doom -- the PSP's success has been in part driven by Monster Hunter, which is wildly popular in Japan. With 3DS recently getting Monster Hunter 3G and no such game being available on Vita, that isn't a situation that's conducive to Vita selling well. Luckily for Sony, a rumor last week suggested a Monster Hunter game is being readied for launch on Vita later this year, something that, if true, would surely lead to a huge uptick in sales in Japan. Let us know what Sony needs to do to increase sales in the comments below!